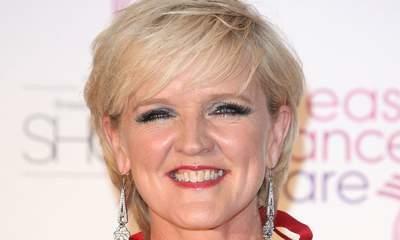 Irish singer and actress Bernie Nolan has died aged 52 after a long battle with cancer, her publicist confirmed. A spokeswoman for the family said: "Bernie passed away peacefully this morning with all of her family around her. Nolan shot to stardom with her singing sisters and the group is best known for the 1979 hit I'm In The Mood For Dancing, which sold millions of records around the world. The Nolans also enjoyed success with songs such as Don't Make Waves, Attention To Me and Gotta Pull Myself Together and became huge in Japan where they are said to have sold more records than The Beatles. They also supported Frank Sinatra on the European leg of his world tour. Nolan was born in Ireland and grew up performing with her singer parents and eight siblings in pubs and clubs at night as a family troupe. She once said: "It got to the stage where they didn't talk about whether the new baby was going to be a boy or a girl, but whether they could sing." The girls' father Tommy became their manager and after his death Anne, the eldest sister, revealed he had sexually abused her from the age of 11. Nolan quit The Nolans in 1994 to focus on her solo career. But the group reunited in 2009, in a sell-out UK reunion tour, which led to a dispute with two of the sisters, Denise and Anne, who had been excluded. Siblings Coleen, Bernie, Maureen and Linda said that the record company made the decision. Nolan, who gave birth to her daughter Erin in 1999, also enjoyed an acting career, with credits included Diane Murray in Channel 4 soap Brookside, and Sheelagh Murphy in ITV police drama The Bill. She took part in Channel 4 series The Games and ITV's Popstar to Operastar, and in 1988 on Saturday morning children's show On The Waterfront. On stage, Nolan performed in Blood Brothers, Flashdance The Musical and the UK tour of Chicago The Musical in 2012 and a touring production of Calendar Girls. Nolan, who married drummer Steve Doneathy in 1996 and whose first daughter Kate was born stillborn in 1997, was the third Nolan sister to have cancer. In an interview last year, she told Hello! magazine she felt "a weight has been lifted" after she went public about her illness. She said: "There's no point dwelling on it, I've got to fight it, be positive and get on with it. I say a positive mantra to myself every day."